Tim Barton reports back from a public meeting on the UK’s arms exports. People from Hastings were given an insight into the arms industry when Wendy Horler of Campaign Against Arms Trade (CAAT) spoke at a public meeting on June 5th. CAAT campaigns to end arms sales where they might worsen conflict, assist oppressive regimes, or cause harm by diverting money from essential social welfare spending. Britain is one of the largest arms exporters: in 2016 UK Trade and Investment, a government body, said that Britain was the second largest exporter of arms in the world. Among countries receiving UK arms exports were 22 of the 30 countries on the government’s own list of nations with poor human rights records. One of these, Saudi Arabia, has led a bombing campaign in Yemen since 2015 which (along with a naval blockade) has caused thousands of civilian deaths, with schools, medical facilities, mosques and markets being hit. CAAT are involved in an ongoing battle with the government over the legality of the Saudi arms sales. Wendy Horler brought things to a local level by referring to General Dynamics, a company with premises in Hastings which makes electric devices and systems used in warplanes such as the Tornado and Eurofighter Typhoon. The Foreign and Commonwealth Office has stated that these warplanes have been used in Yemen during the Saudi-led bombing campaign. 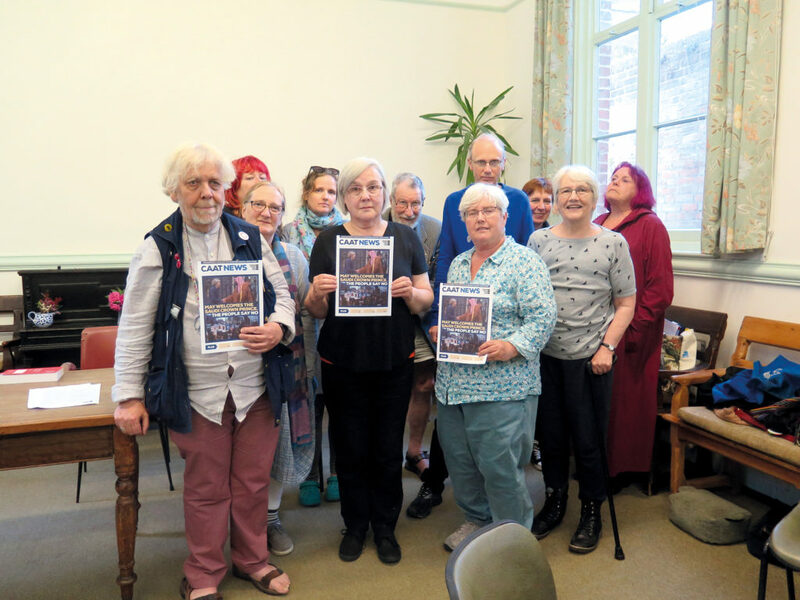 • The meeting was organised by Hastings Against War, a local campaign group which meets at the Quaker Meeting House, South Terrace, at 7.00pm on the first Tuesday of each month.